'Whiskey & Cigars' Available Now on iTunes and Amazon! 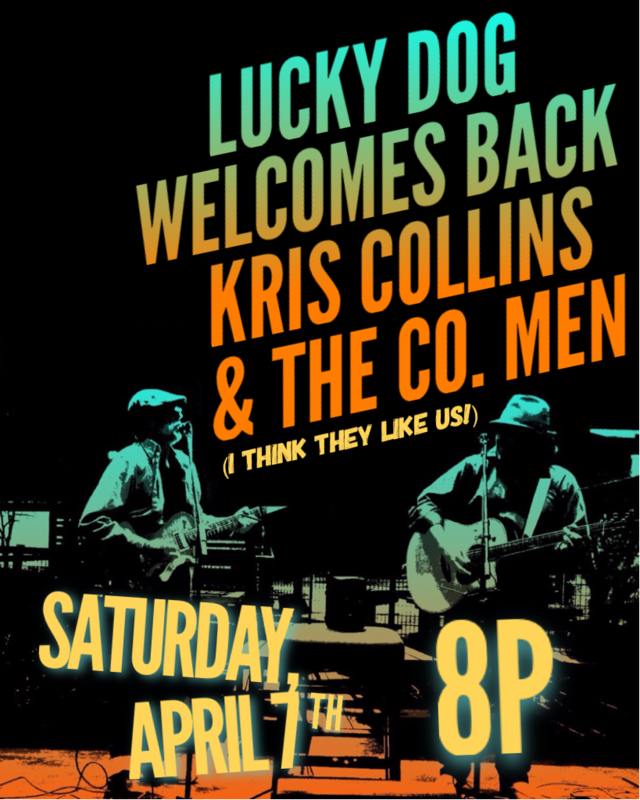 Lucky Dog loves us so we're back again this Saturday night!! I tell everyone I know how great this bar is - the bar itself but especially the owners who have been so great to us! We are thrilled to be back this Saturday night - we're gonna rock the place all night starting at 8p. Bring a friend, bring a dog, bring whatever, just bring yourself to the Lucky Dog and let's be friends. Lucky Dog this Friday Night! We're back at the Ranch this Friday night! Home background image by Melissa Sambrooks.